A U.S. Navy P-3C Orion maritime patrol aircraft from to the Skinny Dragons of Patrol Squadron (VP) 4 conducts a fly-by with the guided-missile destroyer USS Cole (DDG 67) on Nov. 15, 2014. US Navy photo. This post has been updated to clarify that the Royal Australian Air Force has not yet signed a contract for its P-8As but has approved the acquisition of the aircraft. Members of Patrol Squadron (VP) 26 “Tridents” are busy in U.S. 5th Fleet this spring, in the middle of the last deployment of the Lockheed Martin P-3C Orion maritime patrol aircraft from the East Coast. The Naval Air Station Jacksonville-based unit was the first East Coast squadron to fly the P-3 in 1966 and is the last to hold onto the aircraft as the Navy transitions to the Boeing P-8A Poseidon. VP 26 sent its planes out for the final deployment beginning in January, and they have since conducted operations with the British and French navies and the Bahraini Coast Guard, according to a Navy news release. Meanwhile, three Jacksonville-based P-8A squadrons have deployed to the Pacific and shown the capability enhancement the new plane brings. The aircraft have conducted missions out of the Philippines, attended air shows in India and Australia and assisted in the search for the missing Malaysian Airlines flight MH370 last year. 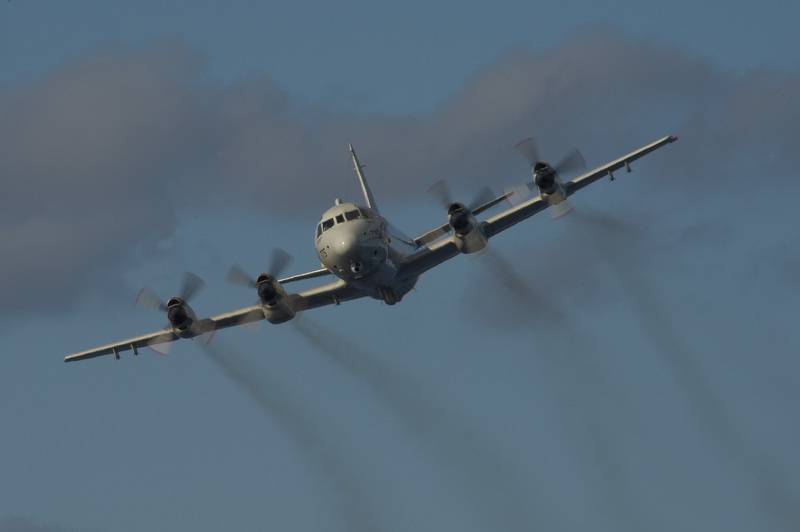 Six P-3C squadrons remain in the fleet, in Whidbey Island, Wash., and Kaneohe Bay, Hawaii. The Navy will eventually replace those with six P-8A squadrons, all in Washington. Choe wrote in his column the P-3Cs and the land-based EP-3 Aries IIs will remain in the Navy for another six to eight years until the transition to the P-8A is complete. Overall, Boeing has delivered 24 P-8As to the Navy out of a total program of record of 117, company spokeswoman Elaine Brabant told USNI News. The company has also delivered six P-8Is to India and signed a contract earlier this week with the U.S. Navy and the Royal Australian Air Force (RAAF) for P-8A training systems. RAAF announced it intends to buy eight aircraft in February 2014 and will take delivery of them in 2017, according to a Boeing news release.